On The Waterfront, an exhibition organized by photographer and video artist Katie Murray, featured works by 13 contemporary artists. The show’s title “On the Waterfront” speaks to the gallery’s close proximity to the Gowanus canal, a once thriving waterfront, as well as to Elia Kazan’s iconic American film. Kazan made the film On The Waterfront in the aftermath of testifying for the House Committee on Un-American Activities (1952). Finding us in a similar suspect and paranoid period this group exhibition incorporates works of various mediums that suggest this uneasiness and anxiety. 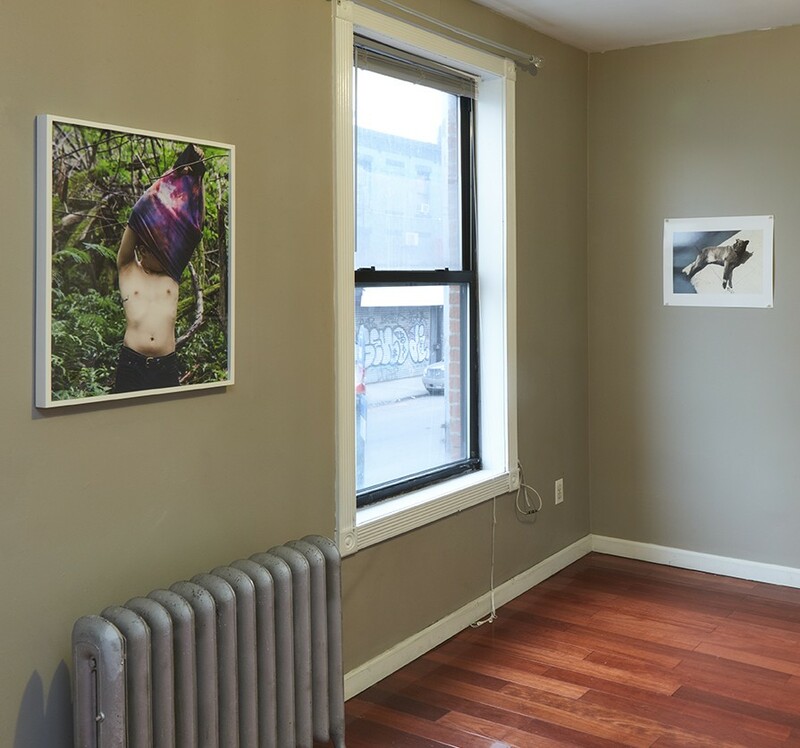 The exhibition was held in a 19th century townhouse on Third Avenue in Brooklyn. Nathan Carter, Lisa Corinne Davis, Matt Ducklo, David Deutsch, Linda Gallagher, Jeremy Haik, Joseph Maida, Victoria Sambunaris, Dan Torop, Ted Partin, Jennifer Cohen, Adam Putnam, and Mary Valverde. The works presented in the exhibition encompass a wide range of media, including contemporary color and black-and-white photography, figurative and abstract painting, line drawing, sound, and sculpture.